Do the corporate procedures enable employees and others to raise concerns and report violations (of the anti-corruption programme) without risk of reprisal? One of the main features of a functioning company whistle-blowing system is security of those raising concerns. Both their jobs and their personal security should be officially protected by the company. A company should publicly declare that each whistle-blower can raise concerns and/or report violations without risk of reprisal. Such policy is usually included in the description of the reporting system and relevant procedures. A necessary condition is the very existence of a relevant reporting channel for company employees. Having only a reporting channel for a selected group, i.e., for managers, is insufficient. If the existing channel does not allow reporting on anti-corruption issues, i.e. it is limited to improper financial management, is also substandard. “All persons subject to this Policy are required promptly to report any instances of noncompliance with this Policy. Failure to do so will be treated as a violation of this Policy, and may result in disciplinary action up to and including termination” (no reference to protection of whistleblowers). There is a publicly-available reporting channel for all employees and stakeholders, and the company declares one can report “without fear of retaliation”. Still, the channel is dedicated to accounting irregularities only and not meant for reporting on other ethical issues, such as corruption or bribery. This is substandard. Does the company provide a channel through which employees can report suspected breaches (of anti-corruption policies), and does the channel allow for confidential and/or anonymous reporting (whistle-blowing)? A company whistle-blowing system should be available to all employees and it should allow for confidential reporting of concerns and violations regarding anti-corruption policies. Moreover, such a system should allow for two-way communication between the whistleblower and those dealing with the reports. The first three features, accessibility for all employees, confidentiality and possibility to report on anti-corruption, are absolutely necessary. If there is a system with limited access, i.e., for managers only, it is considered insufficient. Confidentiality can be basically assured in two ways, first, the system can allow for anonymous reporting, or second, the company can publicly declare that reports will be confidentially treated. Both options are accepted as fulfilling the confidentiality criterion. Some companies may include a restriction that personal data of whistle-blowers will be kept confidential to the extent allowed by the law. Such restriction is acceptable. We assume that all “ethical channels” allow for reporting on anti-corruption issues, unless there is an explicit statement that the channel is only available for certain topic, i.e., only for sexual harassment. The fourth required feature of the whistle-blowing system is the provision of a two-way communication channel, which should allow the whistle-blower to follow-up on the reported case and those dealing with the report to ask for additional information. This feature is an absolute requirement. The existence of the two-way communication channel can be basically verified in two ways. Either, there is a public policy/information which indicates that such channel is in place, or the required feature can be tested by a researcher. For example, many publicly available whistle-blowing systems that allow for anonymous reporting, give the whistle-blower a code (PIN), which allows to follow-up on the reported case. A researcher should submit a simple meaningless test-report and check if the follow-up feature works. The company has a whistle-blowing channel conducted by the internal audit. The channel is not anonymous, but the company assures confidentiality of reports and whistleblowers. A procedure is described on how each case is dealt with and this procedure includes continuous communication between the whistleblower and the company’s internal audit. There is a “compliant mailbox” and “information about the complainant is strictly confidential”, however no two-way communication is assured. All breaches/ethical violations should be reported to the direct supervisor/ manager. The company has a very good reporting system but it is only available for suppliers to complain about irregularities in the procurement process. This is substandard. 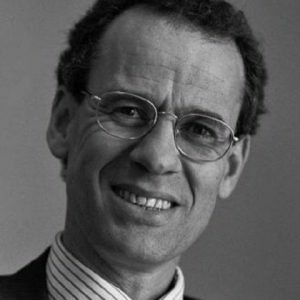 Evert-Jan Lammers is a partner at EBBEN Partners (www.ebbenpartners.be) and a member of the Board of Directors at Transparency International Belgium. He has performed reviews on Transparency in Reporting on Anti-Corruption (TRAC) in 2009, 2012, 2015 and 2016 (all review reports are available at www.transparencybelgium.be) applying the above criteria.